Roberta Cuel (Ph.D.) is associate professor of Organizations Studies, at the Department of Economics and Management, University of Trento. Her research interests are aimed at discovering the impacts of ICT on the living conditions of companies, in particular on intangible assets, routines and practices, teams and communities, and business models. PACAS: The main objective of PACAS is to better understand, model and analyze changes at different layers of the ATM system to support change management, while capturing how architectural and design choices influence the overall system. PACAS will deliver an innovative participatory change management process where stakeholders will actively participate to the architectural evolution of the ATM system. The key elements of PACAS are: (i) domain-specific modeling languages to express heterogeneous perspectives of ATM domain experts; (ii) impact propagation techniques to align multiple perspectives; (iii) a gamified platform as key driver for collaboration. The PACAS consortium will leverage state-of-art multi-view modeling methods, multi-objective reasoning techniques, and gamification approaches to develop and evaluate an innovative ATM participatory change management process. The validation will be assisted an external advisory board, composed of ATM domain experts, focusing on a limited number of strategic objectives concerning economical, organizational, security and safety aspects. The validation aims to demonstrate the generality of the PACAS concept and the potential for extended versions that support additional strategic perspectives that affect ATM change management. PACER: L’obiettivo principale del progetto è quindi ideare e creare strumenti che permettano di descrivere ed eseguire iprocessi di continuità assistenziale per i pazienti affetti da patologie croniche. In particolare, si intende: (i) Formalizzare il PDTA creato in un determinato contesto sanitario; (ii) Sviluppare una cartella clinica integrata multi professionale, con la possibilità di integrare la stessa con applicativi utilizzati dalla “rete” assistenziale del paziente; (iii) Formalizzare le procedure critiche legate soprattutto all’integrazione. FP7 INSEMTIVES: INCENTIVES FOR SEMANTICS: The objective of INSEMTIVES is to bridge the gap between human and computational intelligence in the current semantic content authoring R&D landscape. The project aims at producing methodologies, methods and tools that enable the massive creation and feasible management of semantic content in order to facilitate the world-wide uptake of semantic technologies. FP7 Liquid Publications: Scientific Publications meet the Web: The LiquidPub project proposes a paradigm shift in the way scientific knowledge is created, disseminated, evaluated and maintained. This shift is enabled by the notion of Liquid Publications, which are evolutionary, collaborative, and composable scientific contributions. Many Liquid Publication concepts are based on a parallel between scientific knowledge artifacts and software artifacts, and hence on lessons learned in (agile, collaborative, open source) software development, as well as on lessons learned from Web 2.0 in terms of collaborative evaluation of knowledge artifacts. Gestione delle risorse collettive e valore aggiunto per le collettività locali: Partendo dallo studio dei modelli di governance alternativi, studiati anche da Elinor Ostrom (premio Nobel per L'Economia 2009), la ricerca si pone come obiettivo lo studio della loro applicabilità alle comunità linguistico-culturali mochene e cimbre, e ai territori in cui queste ultime vivono. In particolare la ricerca affronta l'importante tema della gestione delle risorse collettive, secondo il nuovo originale approccio che supera la classica dicotomia tra beni pubblici e privati. 2010. TasLab: The main goal of Taslab is to create an advanced innovation infrastructure capable of responding to present and future user needs, not only from an ICT perspective but also from a cultural and social point of view. The plan is to reduce the digital divide, and at the same time to experiment new ICT solutions, with deep user involvement, all over the Trentino mountainous territory. 2010. STCon: CONnections with Spes Tecnology group (version 2). It's aim is to analyze, the need of sharing knowledge and information among units in complex organizations or among networked organizations, and the impacts of networking ICT technologies in the business processes and the daily works of employees. June 2005 - June 2008. 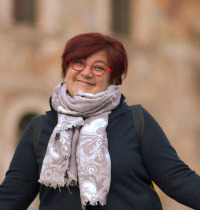 Researcher in the InConSPES (INterdipendences and CONnections with SPES) Project. It's aim is to analyze, from a knowledge management point of view, the need of sharing knowledge among units in a very complex organization introducing new ICT technologies and effective KM systems. Since July 2002. Research and coordination activities in the Net Economy group. One of the project of the group, in which I am involved, is NESA (Net Economy Strategic Analysis). It aims at identifying the strategic roles in the Net Economy industries, and the way in which Italian and European Universities facilitate the creation of strategic competences and abilities that deal with these roles. October 2000 - December 2000 Analisi di ricerca di elementi innovativi per l.implementazione di knowledge management distribuito e analisi degli impatti organizzativi. (Research and analysis of innovative elements in distributed knowledge management systems. Analysis of the organizational impacts). The project was financed by the Dept. of Computer and Management Sciences, University of Trento (Italy). October 1999 - March 2000 Research activity on Delineare lo scenario e il modello astratto ad agenti necessario a valorizzare l.offerta culturale e a ideare nuovi servizi nel sistema turistico trentino. (Define the abstract scenario and the model, based on artificial agents, aimed at valorizing culture and tourisms services in the Trentino area). Dept. of Computer and Management Sciences, University of Trento (Italy).